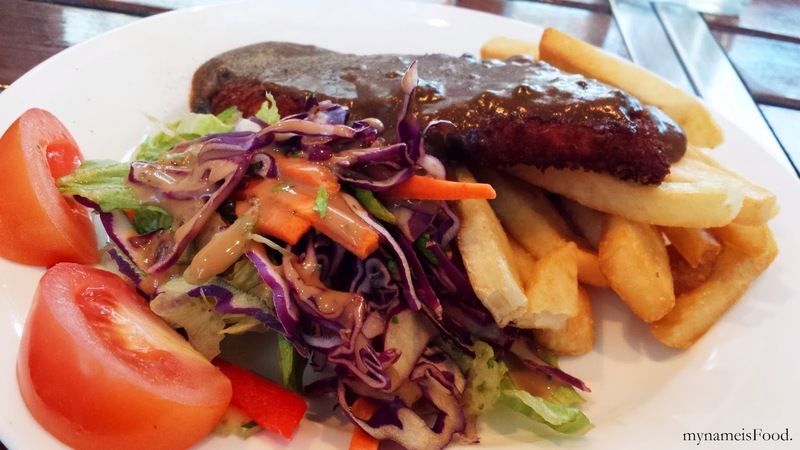 Chermside Tavern, Westfield Chermside, Chermside - my name is Food. 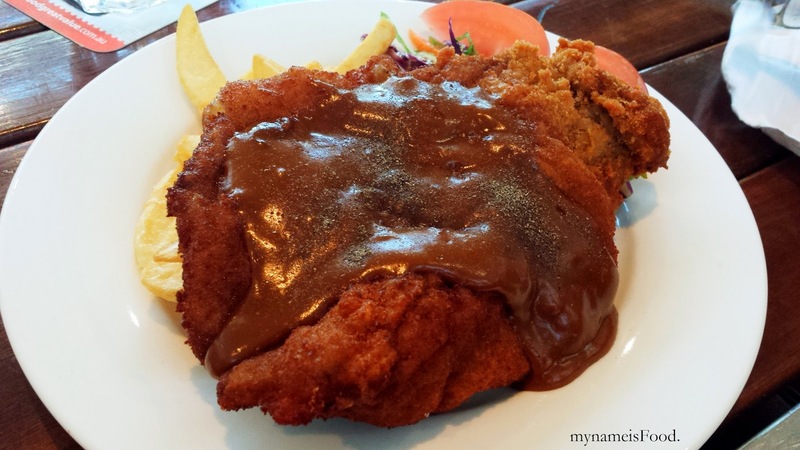 The 'Chicken Schnitzel' ($10) didn't seem as fresh as I thought it would be. 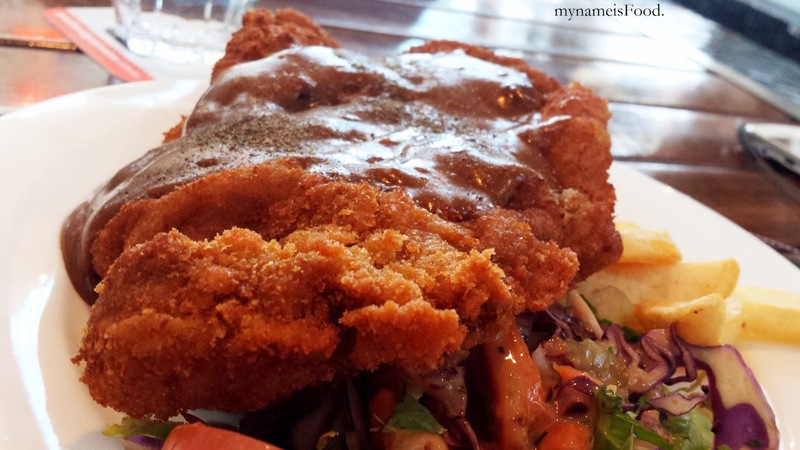 The crumbed chicken looked as if it has been re-fried twice, using used oil, which made the schnitzel browner than usual. The chips were not crispy, and some were soggy. The chicken meat itself was hard to cut, also to chew. 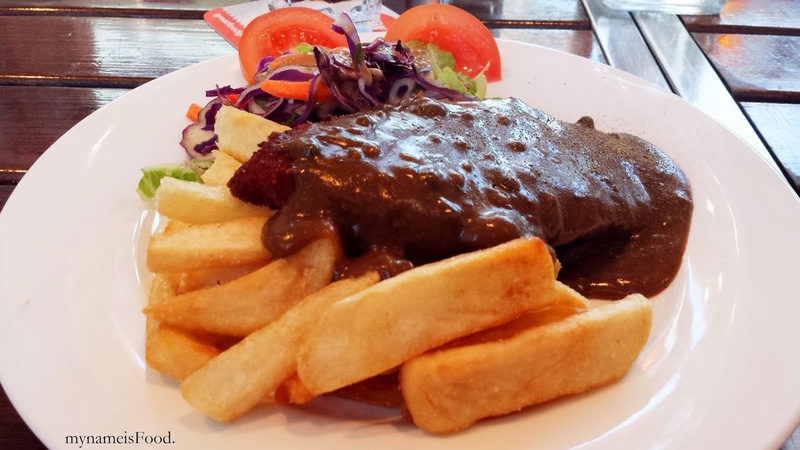 The next dish we tried was the 'Crumbed Steak Diane' ($10) served with chips and salad. Again, fried with used oil but this was not as bad as the Chicken Schnitzel. 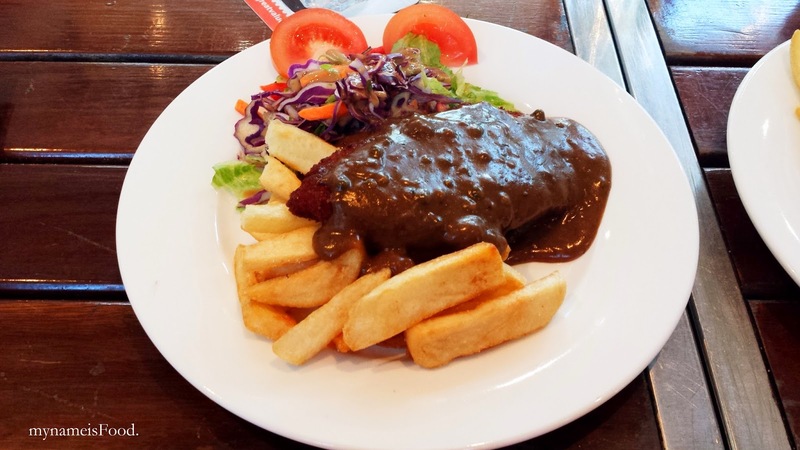 The sauce was just plain gravy which was quite thick for a sauce, maybe it had abit too much flour added in. The chips again were not crispy and quite soggy.